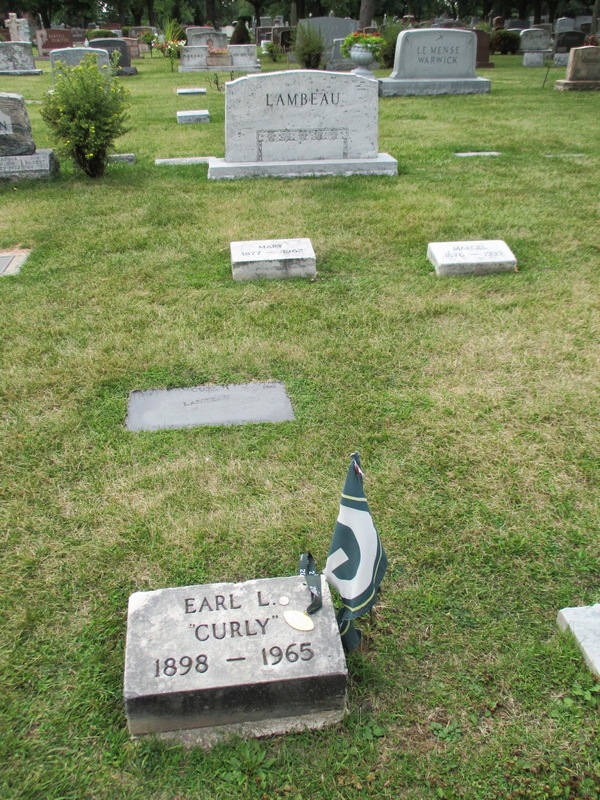 Curly Lambeau's gravesite is located inside Allouez Cemetery, near its Webster Street entrance. The cemetery address is 2121 Riverside Drive, Green Bay, Wisconsin 54301. The above coordinates will take you the gravesite's exact location inside the cemetery. Curly is buried in this row, about 10 sites past the statue of Jesus. Earl L. (Curly) Lambeau (statue and marker), at the entrance to Lambeau Field. Curly is buried at Allouez Catholic Cemetery in Allouez (Green Bay), Wisconsin.